Definition at line 146 of file llimpanel.h. Definition at line 768 of file llimpanel.cpp. References LLSingleton< LLVoiceClient >::getInstance(), and LLVoiceChannel::setURI(). Definition at line 776 of file llimpanel.cpp. Definition at line 824 of file llimpanel.cpp. 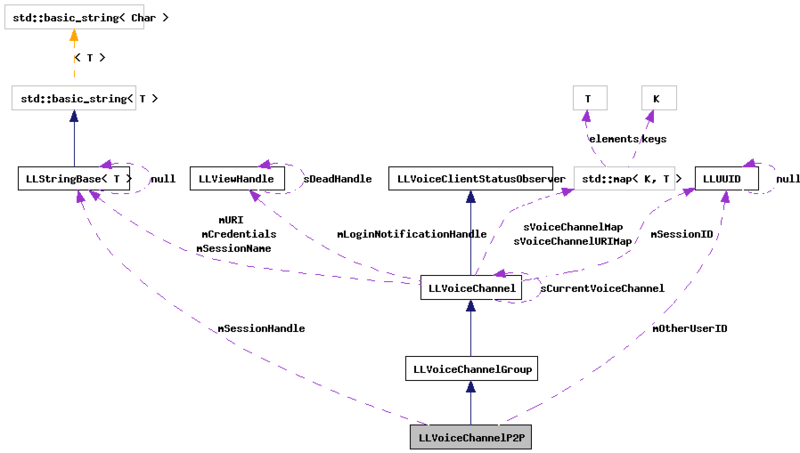 References LLVoiceChannel::activate(), LLVoiceClient::answerInvite(), LLVoiceChannel::callStarted(), LLVoiceClient::callUser(), LLSingleton< LLVoiceClient >::getInstance(), mOtherUserID, and mSessionHandle. Definition at line 847 of file llimpanel.cpp. 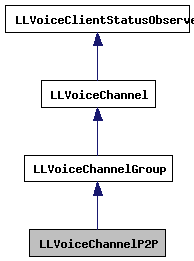 References LLVoiceChannel::sCurrentVoiceChannel, LLVoiceChannelGroup::setState(), and LLVoiceChannel::STATE_CALL_STARTED. Definition at line 810 of file llimpanel.cpp. References LLVoiceClientStatusObserver::ERROR_NOT_AVAILABLE, LLVoiceChannel::handleError(), LLVoiceChannel::mNotifyArgs, and LLNotifyBox::showXml(). Definition at line 781 of file llimpanel.cpp. References LLVoiceChannel::callStarted(), LLVoiceChannelGroup::deactivate(), FALSE, LLVoiceChannel::handleStatusChange(), LLVoiceChannel::mIgnoreNextSessionLeave, LLVoiceChannel::mNotifyArgs, LLVoiceChannel::mState, LLNotifyBox::showXml(), LLVoiceChannel::STATE_RINGING, and LLVoiceClientStatusObserver::STATUS_LEFT_CHANNEL. Definition at line 857 of file llimpanel.cpp. References activate(), LLVoiceChannel::callStarted(), LLVoiceClient::callUser(), LLVoiceChannelGroup::deactivate(), FALSE, gAgent, LLAgent::getID(), LLSingleton< LLVoiceClient >::getInstance(), mOtherUserID, mSessionHandle, LLVoiceChannel::setURI(), and TRUE. Definition at line 161 of file llimpanel.h. Referenced by activate(), and setSessionHandle(). Definition at line 160 of file llimpanel.h.